This time we had a chance to interview Phillip Koops who paints for a hobby and swears by the words of Picasso – “Art washes away from the soul the dust of everyday life.” An interesting conversation where he shares with us his views on Painting, Open Source Communities and much more. 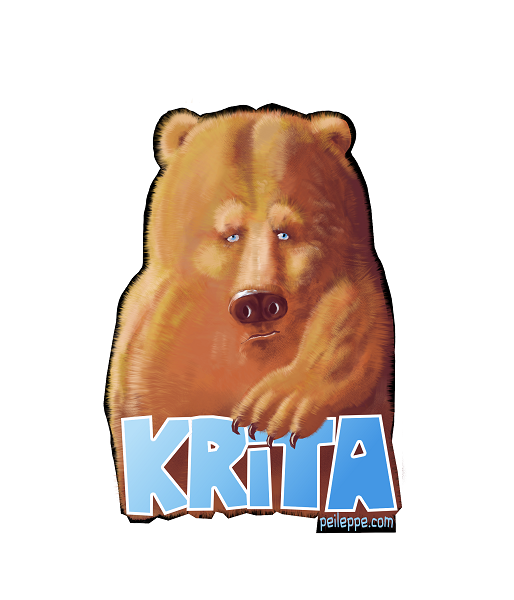 He also collaborated with us for the Krita Webshop and made us this uber-handsome Krita Bear!! Click on Read More to read the interview..
Hello Phillip, would you like to tell us something about yourself? Sure, I’m over forty, married and father of two. I’ve always worked in a corporate environment (call-centre) and decided to have a shot at Freelancing because I thought it was my last opportunity to live the life I always dreamed of, and also because I would have more time for my family (working from home). Do you paint professionally or as a hobby artist? In any of the case, how would you define the importance of painting in your daily life? I paint as a hobby, and sometimes get paid for it. I think it always has to be a hobby, the minute it feels like it’s a job – the fun goes away. Well quoted, I must say! I studied oil painting as a teenager, and as soon as I could buy a tablet I was interested in painting digitally because of the comfort it gives. What do you prefer, traditional or digital painting? It really depends on the mood – I’d say if I have a solid idea and the energy I’ll go for traditional painting because it conveys the best the moves and the emotions ; otherwise digital painting is like the clean and “easy” way of painting (but it might lack passion). What made you return to traditional means of painting? Drawing on a computer gives sometimes technical headaches, because of issues (slowness, crashes, bugs, updates …) and it leads to frustration. Returning to simpler media was a way to put all this nonsense behind me and focus on my art. Just taking a piece of paper or canvas and drawing felt like returning to a simpler life. I was introduced by a colleague at work to Linux (Debian) and found the idea of “open software” very liberating. I found a community that was very helpful and friendly and that felt very good. Nope, never had that chance. I think it was on Ramon Miranda’s blog that I’ve first read about Krita and saw some really nice illustrations made with it. I was looking at all the software available on Linux – tried Gimp, myPaint and I thought, since I installed KDE I could try Krita. My first take wasn’t very encouraging – I already had some automatism (shortcuts I used etc …) so I felt a bit lost since the interface is quite different. Also, that’s when I realized 1GB of ram isn’t enough – Loading the “comics template” for example would crash my system – I used Krita 2.4, so maybe some of what I remember isn’t relevant anymore! used ; this would be useful for me – because I have this tendency to jump from one brush to another. We will get this wish on the bugs.kde list soon! Now, in your opinion, what sets Krita apart from the other tools that you use? I made it long ago when grumpy cat wasn’t really famous. I used a brush named “Texture_hair”. 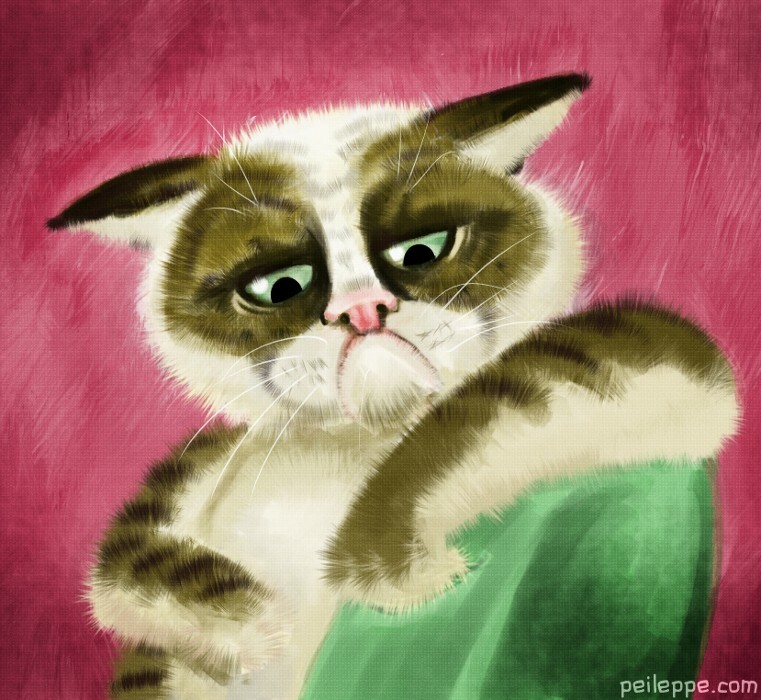 You can find the illustration here at my websitehttp://peileppe.com/search/grumpy . Thank you for this interview.